摘要：VIETNAM EXPO 2018 with its theme “Vietnam Expo - Enhancing Regional and Global Economic Links” continuously plays its roles as one of the largest and most crucial trade promotion events in the trade and industry sector, indicating the sense of cooperation and connectivity as the key trend in the global economy. VIETNAM EXPO 2018 with its theme “Vietnam Expo - Enhancing Regional and Global Economic Links” continuously plays its roles as one of the largest and most crucial trade promotion events in the trade and industry sector, indicating the sense of cooperation and connectivity as the key trend in the global economy. The 28th Vietnam Expo will last from April 11th - 14th, 2018 at International Exhibition Center (ICE) - 91 Tran Hung Dao, Hoan Kiem, Hanoi. 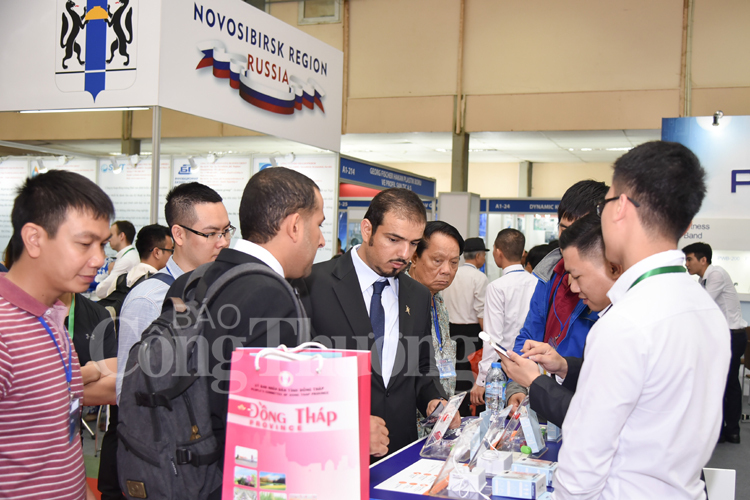 At present, the Exhibition is expected to attract over 450 enterprises from 16 provinces/ cities in Vietnam and 23 countries and territories, such as Russia, Korea, China, Nepal, Thailand, Japan, Singapore, Cuba, Laos, Cambodia, Taiwan, Hong Kong,...In addition, international pavilions include Russia, Cuba, Korea, Nepal, China, and Vietnam. The highlight of the Fair is the special presence of Russian Federation as the guest of honor at Vietnam Expo Hanoi 2018. The Russia Pavilion with its elaborate and rigorous preparation is worth a visit thanks to the participation of leading Russian companies in key industries. Typically,Sinara Transport Machines JSC (STM) is a machine-building holding in the field of transport engineering, playing the role of leading manufacturer in the production of electric locomotives, removing shunters, diesel engines and vehicle maintainance. Moreover, Power Machines, the largest energy company in Russia, ranks the world’s fourth manufacturer and supplier of complete equipment for thermal, nuclear, hydroelectric and turbine power plants. Their products have been exported to over 57 countries. 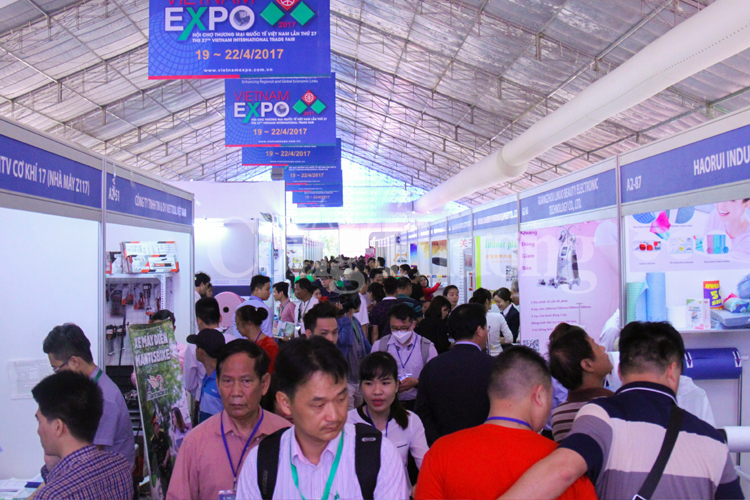 This is the first time Power Machines have introduced their major products to Vietnamese markets via Vietnam Expo, which is absolutely regarded as a promising opportunity for local enterprises to directly learn, explore and communicate with foreign partners, thus seeking approaches to their future development in this industry. VIST Group provides solutions to the development of technology information and its application on mining, metallurgy, science and communication. “Attending Vietnam Expo 2018, we would like to introduce our software system applied to mining, metallurgy, science and communication. This system, which is being used in Russia, Africa and South America, aims at addressing complex operational issues about modern mining. We are looking forward to meeting potential Vietnamese partners who have demands for this system in this Fair,” Ms. Tatiana Khamanova, VIST Group Marketing Director, states. “Korea - Vietnam Design Sharing” Pavilion is another spotlight of this Fair, which is built on the successes and experience of previous sessions. This year, thanks to proactive processes of idea development and market research, “Korea - Vietnam Design Sharing” Pavilion bring a new trend of creativity for label and package design to participants. Besides, “Vietnam Pavilion for Promoting industrial development and investment” by Vietnam Trade Promotion Agency will release information about local investment market to foreign investors, as well as present strengths, investment call policies and opportunities, along with subnational governments’ commitments in 6 provinces/cities: Hanoi, Hai Phong, Yen Bai, Ninh Binh, Thanh Hoa and Dong Thap. It is strongly believed that the participation in Vietnam Expo is a valuable opportunity for foreign businesses and guests since it has witnessed hundreds of cooperation agreements/memorandums of understanding were signed, creating thousands of collaboration opportunities in the future. More importantly, local enterprises will gain big advantages in the Exhibition to introduce their products and local culture to foreign participants who are coming to Hanoi and seeking their partners for trade deals. Despite infrastructure deficit, the Organizer recognizes that they should concentrate on a professional organization and proactively encourage business matching events with an aim to pursue 50-50 imports and exports balance. Vietnam Expo under the direction of Vietnam Ministry of Industry and Trade (Trade Promotion Agency) has been held since 1991 in the collaboration with related line ministries and the Vietnam National Trade Fair and Advertising Company (VINEXAD).